Russia is massive. Everything is large. The roads and buildings, the men and their egos. 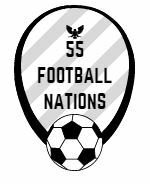 55 Football Nations was keen to experience a slightly more intimate slice of this huge country and shunned football in Moscow and St Petersburg. The only other options were in the deep south west, tricky to reach from Kazakhstan, Ufa and Arsenal Tula. 55FN likes challenges so caught matches in both Ufa and Tula over one heady weekend. “What is an Englishman doing in Ufa?” quizzed a Moscow-based teacher on the airport bus. I explained and asked if she knew any football fans. “In Moscow, yes, but not in Ufa. This is a hockey town.” It also seemed something of a ghost town as I walked the streets. Ufa has a population of over one million but there weren’t many to be seen on a bright Saturday afternoon. I doubted they had all gone to the seaside. Ufa was formed on a dramatic bluff overlooking the languid Belaya river in the shadow of the Ural mountains. It has a compact centre yet is incredibly spread out, even by Russian standards. I took the bus towards the Neftayik stadium,10 miles to the north of the centre. This was the equivalent of travelling from Trafalgar Square to beyond Croydon but somehow less interesting than the artisan chicken shops and beard culture of south London. The endless concrete apartment blocks sent me into some sort of torpor. I missed the stadium. Fortunately, there are millions of buses in Russia, cheap and numbered. I took the same bus back and found the stadium, swarming with Spartak Moscow fans, many visiting Ufa for the first time. Spartak are the Manchester United of Russia with fans spread across the country. It will take post-Ferguson United some doing to beat the 16 fallow years that instigated much mockery from Spartak’s Russian rivals until their surprise title win in 2017. “Since 2011” the Ufa scarves rather unnecessarily state. Ufa are a new club, formed on the convenient embers of regional teams and financed to top flight stability. The atmosphere was bizarre. Spartak fans were everywhere. The home fans, barely roused by the soft rock Ufa anthem, were indifferent. This was theatre for them, an impassive experience not enhanced by Ufa’s defensive solidity that earned a low key point. I was hoping for more action in Tula. Ufa to Tula took ten hours by car, plane and train. Long, tiring and linguistically challenging but small beer by Russian standards. I was welcomed at Tula railway station by Nikita, a season ticket holder at Spartak and Arsenal Tula, his home town with a heavy history of arms manufacturing. He was also watching both games and regularly travelled vast distances to watch Spartak play away. Tula’s opponents were newly-promoted SKA-Khabarovsk from the Russian far east. SKA were taking part in their first away game, 4,000 miles and seven time zones to the west of Khabarovsk. Russian fans gently mock their isolation. “We say that as soon as they get back from one away game they have to start their journey for the next” added Nikita. Khabarovsk is five days from Tula by train. The tiny away support were more likely to be Moscow exiles. I sat with Nikita and his father in the east stand. “Red and yellow” repeatedly chanted the faithful, creating an impressive atmosphere for a home opener against a team with few fans, no rivalry and, according to Nikita, little hope. “Let’s go Tula, we’re with you” quickly followed. Tula are renowned for their die-hard support, watching their team regardless of whether the bounce falls in the Premier League or First Division. They took the lead early in this game and rarely looked like losing it. I’m introduced to a few people at half time. One man, with wild dark hair and even wilder eyes, can’t believe I’m English. “He wants you to say a few words in English” encouraged Nikita. This isn’t difficult and I pass him a Russian version of my card. He seems very pleased. “I can’t speak English”, he explains through Nikita, “I can barely speak Russian!” He wanders out of the ground with 15 minutes to go, happily waving his flag. Nikita explained that the “intelligent” fans, the quieter set, sat in the west stand. He probably didn’t quite mean to use this word but I could see where he was coming from. It was unpretentious and fun in the east stand. The second half started with a song about the streets of Tula, the fans raucously highlighting “Arsenalskaya”, Arsenal street. The home crowd later sing “one day we will be as famous as the London Arsenal” as they secured a first win of the season. I doubt this will be true but the east stand will still be supporting their team, clad in red and yellow, regardless of fame or stature.